Big Ideas Learning has partnered with RD Imagine to launch a new math game, My Dear Aunt Sally, that reinforces many of the skills demanded by the Common Core State Standards in grades 2-8. The over 300 difficulty levels of the game range from adding whole numbers to multiple operations involving rational numbers. My Dear Aunt Sally was developed by Ron Larson, Ph.D., author of the Big Ideas Math program. The game was 6 months in development and incorporates successful learning styles recommended by the new Common Core Standards for Mathematical Practice. The game covers the operations of addition, subtraction, multiplication, division, and exponents, as applied to whole numbers, integers, decimals, fractions, and rational numbers. Embedded in the game are dozens of animations and bonus games. My Dear Aunt Sally is available free at www.MyDearAuntSally.com. It is also available for purchase as an App at the Apple App Store and at Google Play. Check out the fantastic review of My Dear Aunt Sally over at Fun Educational Apps. The school weeks are winding down and summer is quickly approaching. 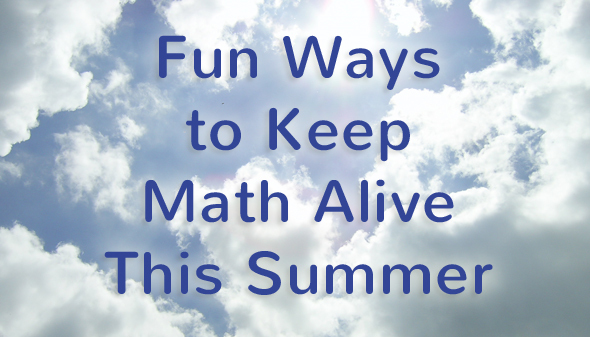 While teachers and students alike welcome the break, it’s important to keep math skills alive over the many weeks of summer vacation. This new, engaging math game by Ron Larson reinforces many of the Common Core skills that are vital to math literacy. Playing the game for 15 minutes a day is a fun, easy way to keep math skills fresh! My Dear Aunt Sally includes number sense, number operations, order of operations, and problem solving. The Big Ideas Math Game Closet includes dozens of interactive math games that can be printed and played at home. Get the family together once a week, make some popcorn, and have fun with math! Cooking together is a great way to reinforce math skills! Using measuring cups is a perfect way to practice adding or subtracting fractions (example: The recipe calls for ½ cup of flour. How many quarter cups could I use to get the same amount?). Cutting a pizza into equal parts lends easily to fraction questions as well. Get your child a pedometer to wear and keep track of his/her daily steps. Keep a record of the daily count for a week (or more) and graph the results to compare the steps taken each day. Students can also record their heart rate while performing various activities (resting, walking, running, climbing stairs, jumping, etc.) and compare the results. Are there any activities you would add to the list? Please share them with us in the comments! 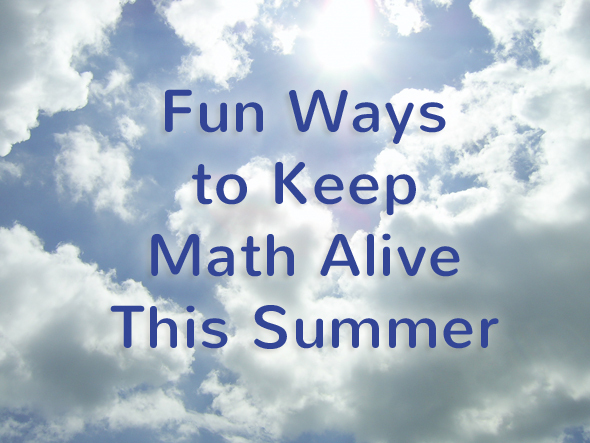 Posted in Math Games, Resources	| Tagged big ideas math summer activities, Middle school summer math, Summer math activities	| Be the first to comment!